It’s not unusual for first-time drinkers of Jeppson’s Malört to freak out. Reactions to this bitter booze, including the popular meme known as “Malört Face,” are so strong that onlookers regularly capture friends’ first shots on camera. Swedish immigrants—who also drank Malört for its purported medicinal benefits—brought it with them to the United States. But the bitter liquor was far from a national success. Its fans were, and still are, limited to Chicago. 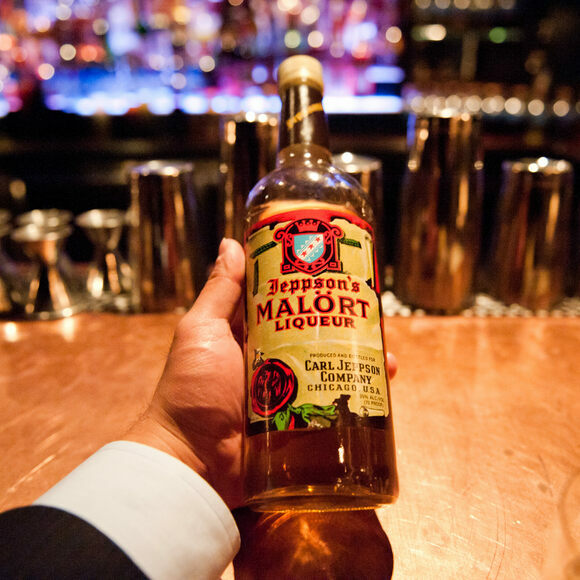 You can find Jeppson's Malört in bars and stores around the Chicago area. It's made in Florida, but it's enjoyed in Chicago. In the 1920s, confectioners thought the public wanted candy that looked like legumes—and they were right. Thai red beans and rum combine in a winter warmer inspired by a South American specialty. This flat, silver spoon holds an exalted place in the mystery and ritual of absinthe drinking. With this Dutch liqueur, you can now drink licorice.